crafting with katie: QUICK Easter Card! 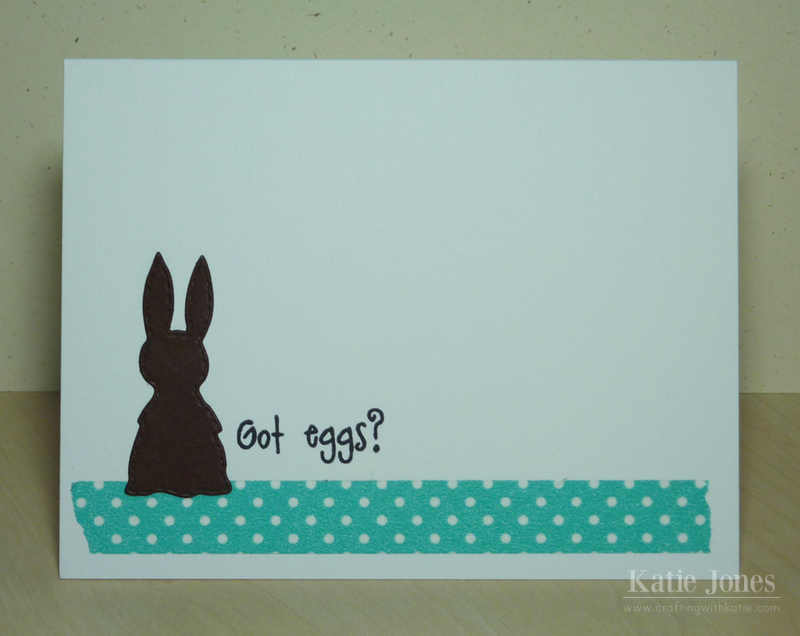 I've got a SUPER quick Easter card for you today! All I did was take a white card base, added a strip of Doodlebug Washi Tape, and then added a die cut bunny and sentiment made with My Creative Time's To My Best Peep stamp and die set. It only took a few minutes, but it makes me smile! Katie ~ WOW! This CAS Easter carde is just over the top! I seriously LOVE how clean and simple this looks! Plus that bunny die and the sentiment is my new addiction! LOL! Awesome idea! I saw this card in my email last night and I was like "wow definitely quick and easy and so gosh darn cute!" I love it.